October 3, 2016 – Vancouver, B.C. – Glance Technologies Inc. (CSE:GET / FKT:GJT) is pleased to announce that the company has been selected to participate in VanFUNDING’s annual showcase on October 18, 2016. Glance’s selection was based on several key criteria including: the company’s core mission and product; the relevant expertise within the company’s management team; demonstrable success in target outcome areas; operational history and a business model that demonstrates understanding of operational, financial and strategic plans. VanFUNDING 2016 will feature a full day program with capital market innovators, investors and enablers in the Canadian fintech and alternative finance markets. The conference will cover current and emerging topics in crowdfunding, alternative finance, technology, and early-stage financing. 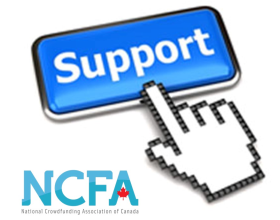 VanFUNDING 2016 is hosted by the National Crowdfunding Association of Canada, a non-profit and solutions-based organization that provides education, research, advocacy, support and leadership to Canadian crowdfunding communities. Pitching Showcase is the perfect opportunity to increase Glance Pay’s exposure within the crowdfunding community. 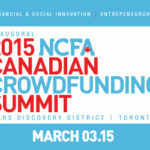 For more information about VanFUNDING’s upcoming event see: http://vanfundingconf.ca/. Glance Technologies owns and operates Glance Pay, a streamlined payment system that allows customers to pay their restaurant bill instantly with their mobile device. Glance Pay aims to revolutionize how smartphone users choose where to dine, settle their restaurant bills, access their payment records and interact with their favourite restaurants. Glance Pay intends to become the industry standard as one of the four pillars in restaurant payments, beside credit cards, debit cards and cash. Glance trades on the Canadian Securities Exchange under the ticker symbol GET. Technologies and Glance Pay on Facebook, twitter, LinkedIn and Instagram. 1 FT.com, “Financial industry faces extreme disruption in payments”, online at www.ft.com.